If you strive to position yourself as a thought leader in your field, this question may inspire anxiety. Because your professional success is judged by your ability to cultivate original ground-breaking content, the fear that you will lose ownership of those ideas is very real. We’ve all felt this: If no one knows that you are the source of revolutionary ideas in your company, how can you prove your value to your team and employer? Brands face the same issue, every day—especially brands whose bread and butter is content surrounding thought leadership. As social media has enabled the wide sharing of ideas by way of articles, photos, and videos, the question of who owns what ideas is only intensifying. In 2017, Pew reported that, through social media, readers identify the source of their news only 56 percent of the time. That means 44 percent of the time, the thoughtful article you labored over for hours, weeks, maybe months, isn’t being attributed to your brand. Ouch. The good news is that Facebook is identifying these growing ownership issues and taking action. In an effort to increase insight into news sources and article ownership, Facebook is placing publisher logos next to article links featured through trending and search aggregations. Facebook’s update benefits both brands and consumers. In order to rise above the noise of a clickbait-filled environment, credible sources need their branding in the forefront. Additionally, recognizing and engaging with articles from credible sources remains important for, among other reasons, avoiding “fake news.” In other words, the addition of publisher logos is truly a win-win—a step towards more responsible reading, sharing, and creating. While this update is currently rolling out on trending and search articles, Facebook’s goal is to place publishers’ logos wherever their content appears. 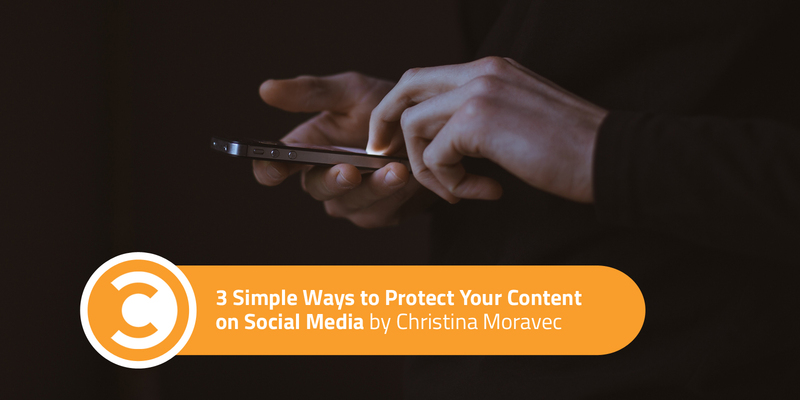 Until then, take steps to protect the ownership of your ideas and content by consistently practicing the following branding techniques. To be sure your content is closely knitted to your brand, post and share content from your brand’s website. In doing so, if you or your audiences share your content, your brand’s website will appear in the link preview of the post—a non-editable stamp, naming the content forever yours. Stay true to your brand colors and create a reusable treatment to append to your blog posts’ featured images. The image doesn’t have to contain the name and author as we do at Convince & Convert. Instead, consider framing your images or creating a graphic that strongly represents your brand so that, beyond the logo, your images are instantly recognizable. Finally, if you don’t have time to adjust all your social branding techniques, Facebook has you covered. 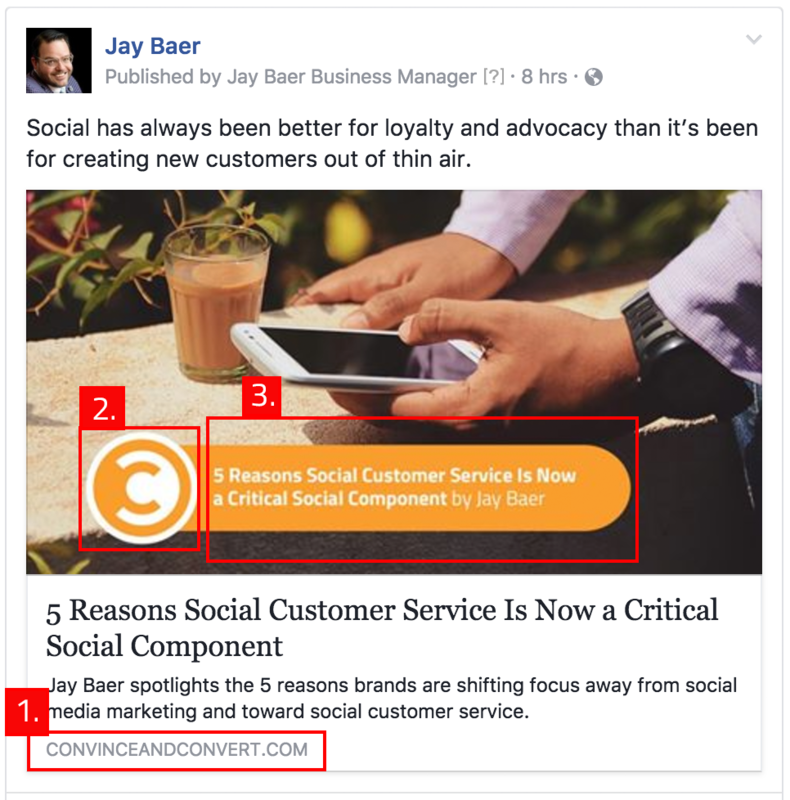 Marketers itching to jump on the publisher logo bandwagon can use this amazing step-by-step guide provided by the good folks at Facebook.